Glistening white sapphires within gleaming 18karat gold prongs prove the most intricate settings speak volumes. Three precious ruby, emerald and sapphire floral pendants with crystal and freshwater pearl charm create a sparkling bouquet. 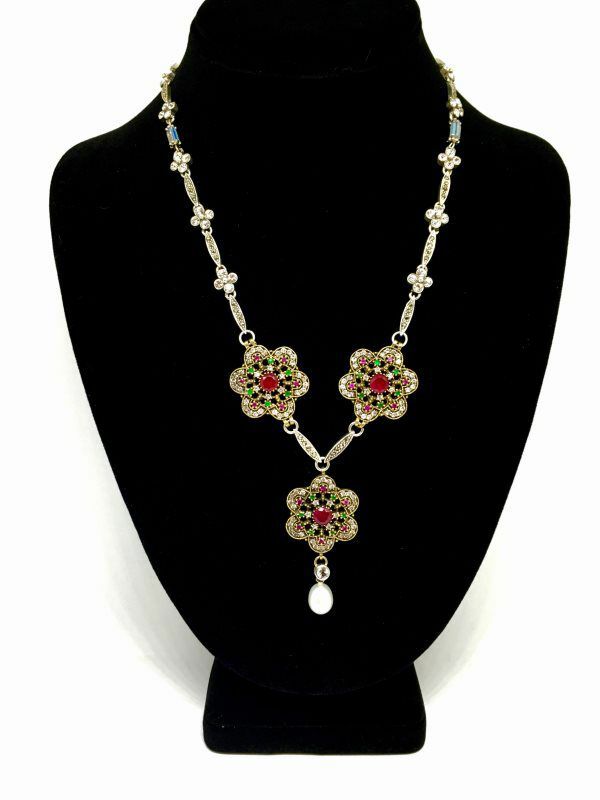 Length of necklace is marcasite and sterling silver with hand-set flower crystals on sterling bezels. 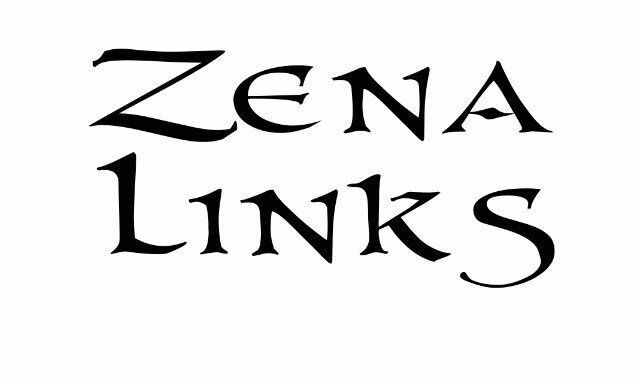 Pave crystal, silver plated magnets with floral Zena Link included, provide two different lengths. 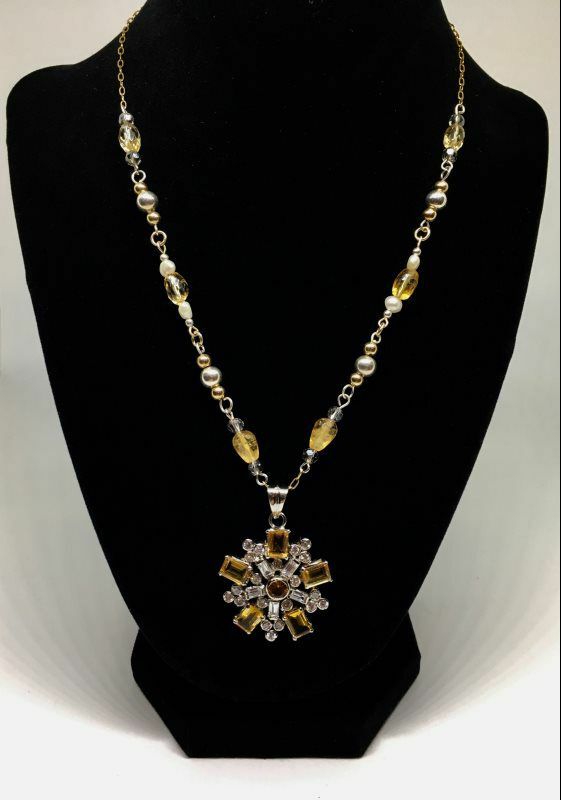 Similar to David Yurman's designs, this necklace comes with two crystal and citrine stone zena links that allow you to wear it at varying lengths. 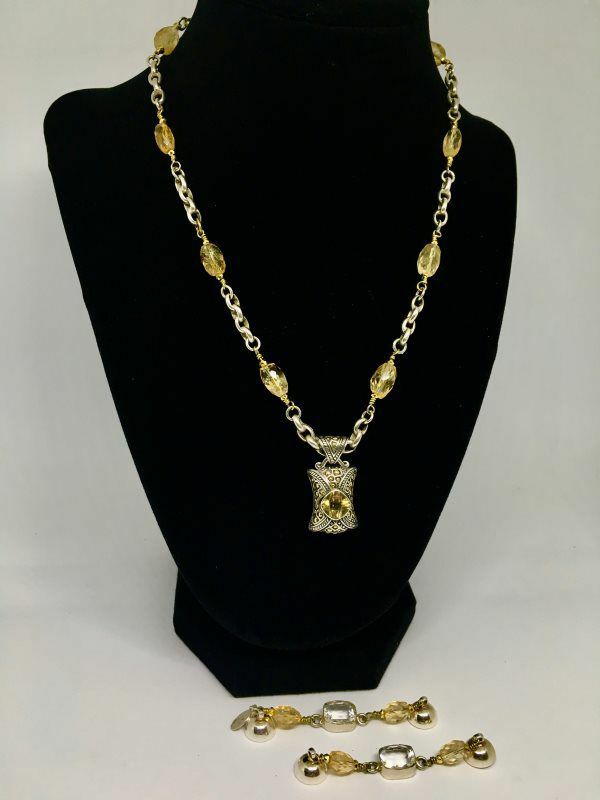 Highlander jewelry was very popular during Victorian times. 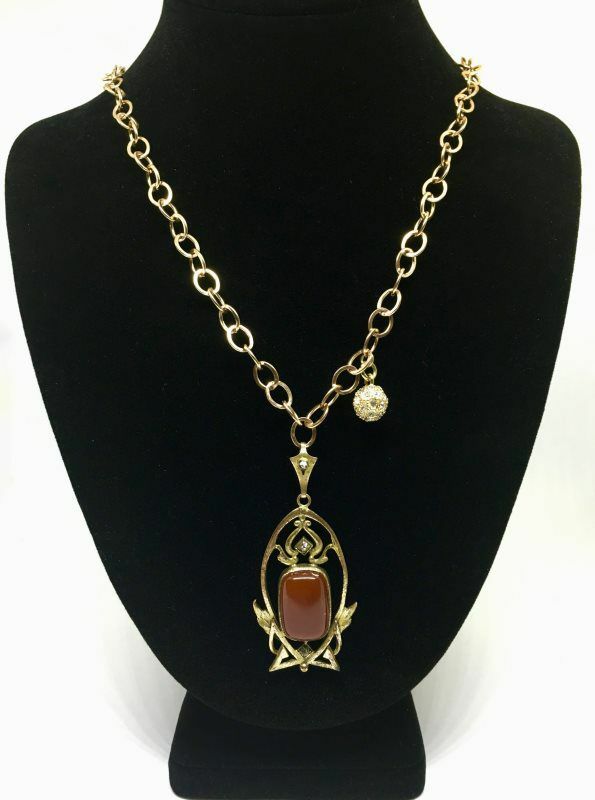 This authentic 19th century Scottish pendant is modernized with Zena Links magnetic jewelry. 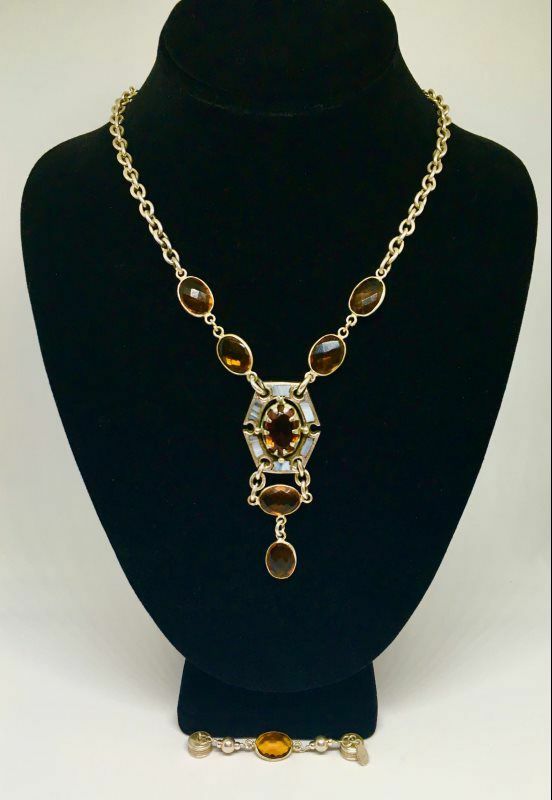 A set of topaz and wire-wrapped sterling Zena Links, allow the piece to be worn three different ways. Transport yourself to the land of ancient castles and tartan-clad warriors with this one of a kind "Highlander" Zena Link. Stylish chunky sterling links with an original Tiffany heart can be worn as a necklace or as two bracelets. 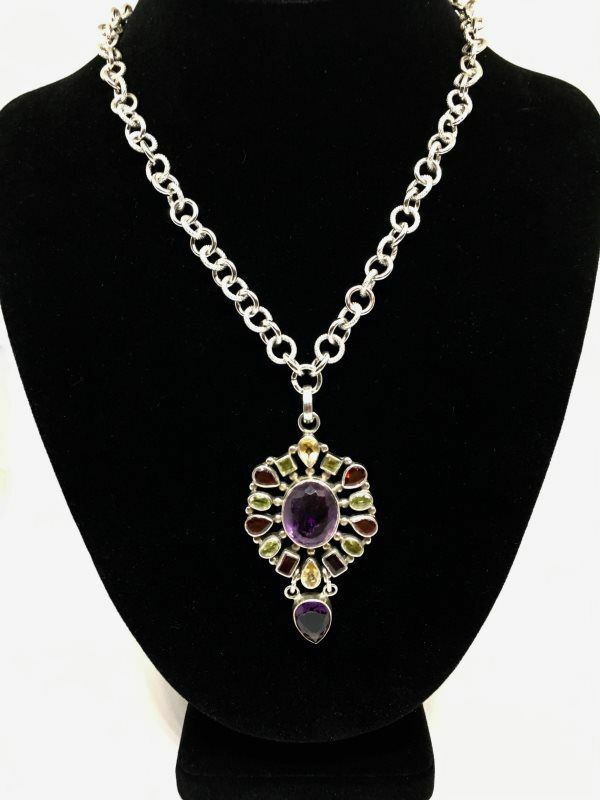 The precious mystic topaz stone pendant is detachable. 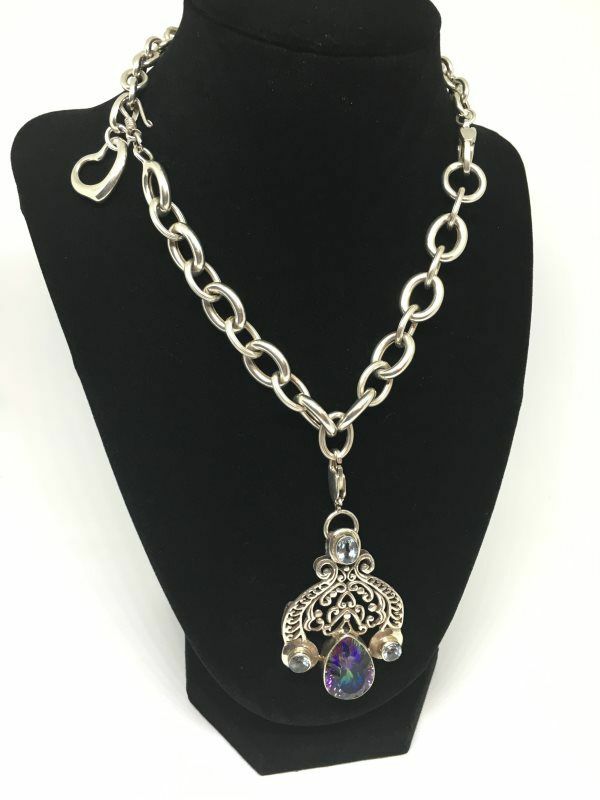 Victorian style necklace reminds one of something Josephine Bonaparte might have worn with her flowing chiffon, empire waisted gowns. 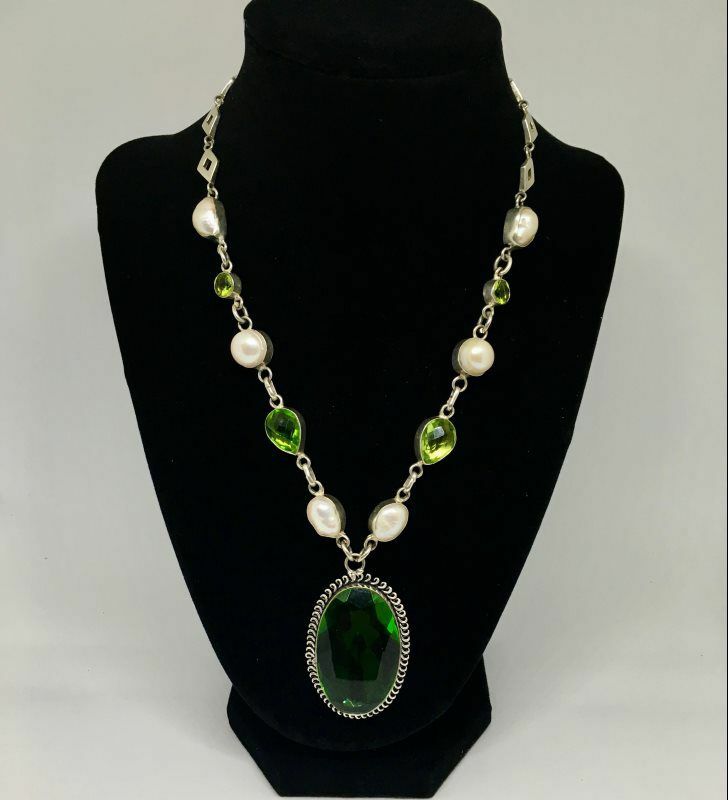 Masterfully crafted centerpiece from Paris dazzles with hand-set red and green glass crystals set in a cubic zerconia, cloverleaf/diamond shape bezel. 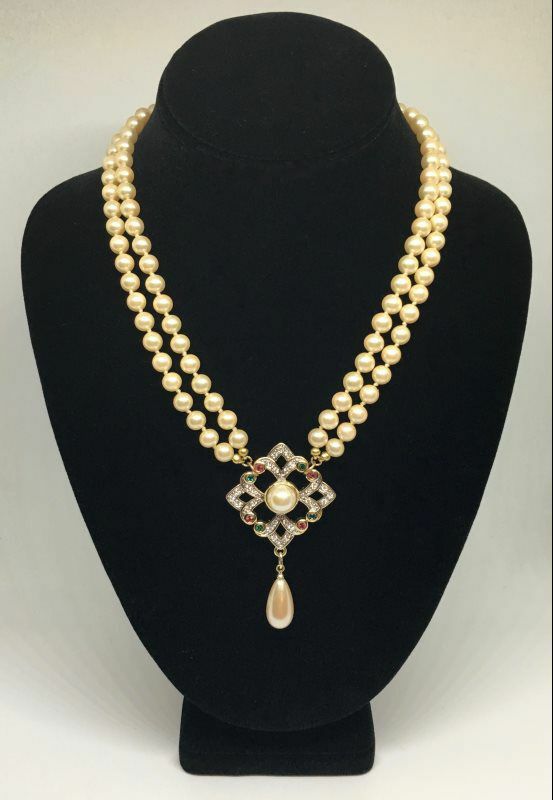 Rich, cream colored, hand knotted faux pearls are connected with gold plated magnet. 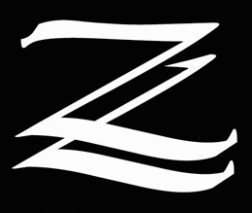 Zena Links (not included) can connect for extra length.